Images are extremely easy to copy, repost, and republish on the Internet and as photographers we have an inherent interest to not let that happen without our permission. We work hard to create our photographs, investing time and money into our projects. But with a few simple clicks or the help of apps, people can take images and do almost whatever they want with them without many technical restrictions. 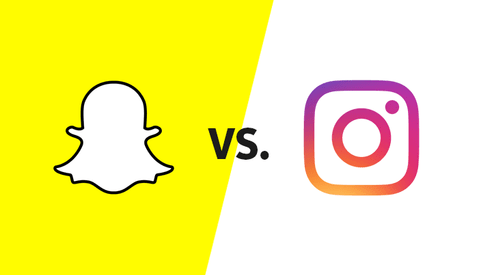 We know copying images and calling them our own is wrong, but with social media, especially Instagram, images can show up almost anywhere on any account and it’s dead simple to do. The culprit is reposting, the concept of copying an image from one account and posting it to another. Most accounts who predominantly repost images identify themselves as such and do not call claim to the images. They also normally credit the original photographer in various ways including tags and mentions in the comments. Many accounts will ask for permission to repost, or promote a hashtag that a photographer can use to show support to repost their images. 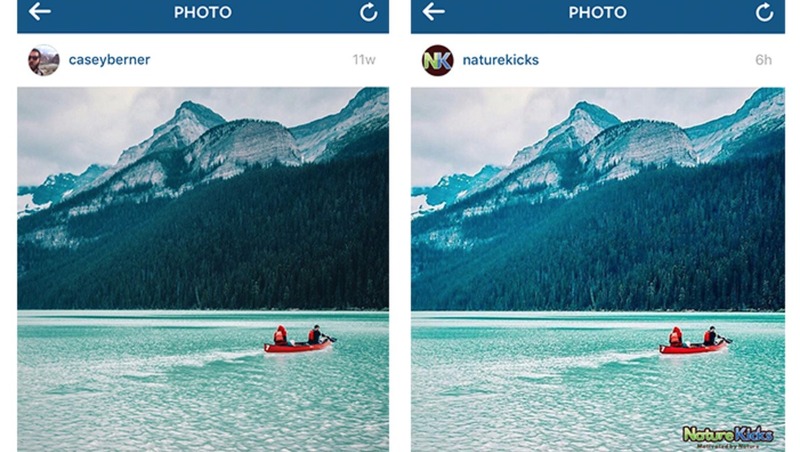 Instagram does not have a native way to repost images from other users. Apps exist to facilitate this process but is still the responsibility of the user to get permission and not break any rules. Is this legal? Are you giving up copyright on your images when you post on social media? Is Instagram a lawless wasteland where anyone can post anything from anyone? Posting, hashtagging, and sharing images on social media does not give up your copyright. It is still up to you who uses your image. You get to decide who reposts your image and who doesn’t. When you create an image, you own the copyright. If you are headed into a legal battle, you will need to register the image with the government (depending on where you live on this planet). But for the most part, it is pretty easy to defend if you own an image on social media. If an account reposts your image without your permission, you have the right to ask them to take it down. Instagram supports this with a copyright infringement form but honestly it is very clunky and is not built natively into the app like blocking and reporting a user. Instagram also suggests simply asking the account to take down your image as a way of resolving the issue with getting them involved. But when should we enact our claim to copyright and when should we just let it go? Repost accounts are not the only ones who use other people’s images on Instagram. 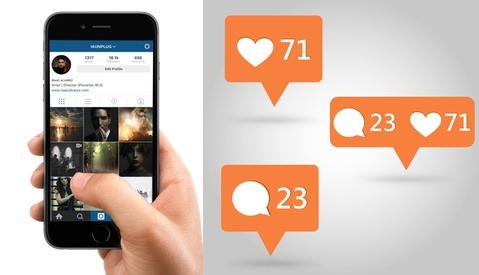 Brands, merchants, stores, and services all crowdsource user-generated content to post on their social media channels. Some ask for permission and some don’t. I can’t just upload a video to YouTube for my photography company using a popular song. I have to credit them and many times pay a fee. Why should photography be different? Sometimes we want our images to be reposted by specific accounts of big brands with lots of followers in the hopes of gaining more followers ourselves. That social currency is enough of a tradeoff where we allow someone to use work without monetary compensation. That is very contradictory to the stock image market and editorial sites like Getty where people pay for use of images. There is a dichotomy that exists between social media and traditional media. It’s one thing if our images show up on a brand's Instagram, but what if those images showed up in a brand's catalog? Or in their stores? Is social media a bubble where it’s OK to share content of others for free? That’s up to you. 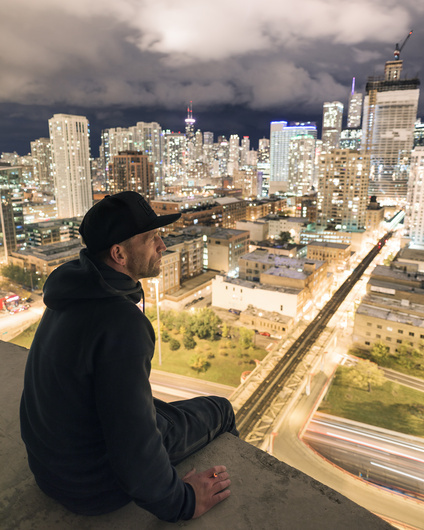 Many people just want to be Instagram famous and that’s enough to let others use their work. Some people see reposts as a way of gaining recognition. But other times brands are simply trying to attract people to buy things and using your content to do so. In the end, take everything in stride. Some accounts reposting your work is great, but everyone on the planet should not have rights to use your images. Choose your battles and protect your images, you worked hard to create them. Do you let anyone repost your images? Do you require tags and mentions? How have you resolved disputes of copyright on Instagram? My criteria are as following: As long as it is a Regarm, with my original content that is not altered in any way, posted from a tasteful account that pertains more followers than be, I have absolutely no issue. It helps my "exposure". I refuse reposts that endorse a brand and are used to generate an image targeted towards revenue. In that case they get an invoice. Now I like to be open about my pricing strategy, a one time post for social media I have listed at $500-1500, I am mentioning this because a lot of people are unsure about what to charge. I get really bugged about the subject if people crop/apply filters. 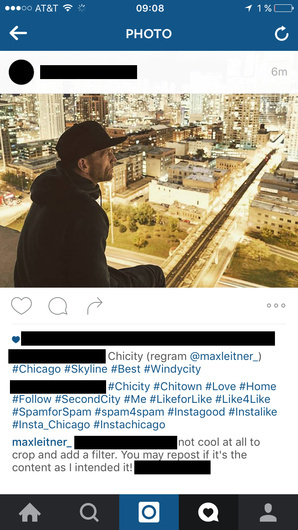 Just a day ago I had a case of someone reposting an image from Chicago to their business account, cropping and applying a filter. I made sure that I commented on their etiquette as well as called the store... their excuse "we are giving you exposure" was the main argument. Now, note that I am currently at 3400 followers and they were at 1600 of a clientele that I am not seeking... I did not value that exposure and thus asked them to take it down and we would forget about it, note this was hardly an hour after they reposted. The other party decided to be a bit stubborn at first but promptly removed the image. After my offer that they could repost if the image pertains my artistic vision they declined. The rampant botnet happening on Instagram has lead me to not care as much...fighting hydras are a waste of time. However in Max's case it makes sense when you're not dealing with a robot army. Off-topic rant: In all honesty, I don't see Instagram lasting if they can't find better ways to deal with the drones. Numbers are pretty superficial when you can have them at the price of a value meal. is it worth putting a watermark on our photos. obviously they're easy to remove. if anything they're ugly and id rather not have one. but does that make my images more vulnerable? 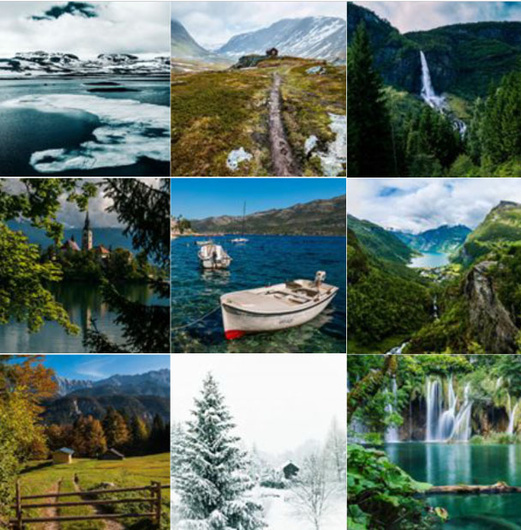 I shoot landscape and travel photography. If it is a profile who doesn't claim he took the pictures himself and he is just posting many photos from other people, then I don't care : there are too many of them. If it is a company or someone who is trying to use my images for commercial purpose, without asking me first, then I will ask them to remove the image, or send an invoice. Maybe the guys at Lowepro should read this article... I had them repost an image of mine without permission or credit, later adding credit because I questioned it. When contacted about working further with them and with me providing some better images for social media use with credit I was greeted with an email that ignored the fact I had offered images and just a "sorry it was an oversight on our part"
This copyright/repost issue is a great one to bring up. Either its not known by everyone or just ignored. Thanks Dom. I've had all sorts of situations happen with my photography and it is at its worst when you don't know it's happening. There are a lot of ways accounts go about asking for permission and a lot of unknowns about what is okay and what is not. This is what we get for posting stuff on the web. Nowadays no one seems to care about other people's work. You are actually correct. This is exactly the social construct of the web. If we want to be a part of it, we need to accept that. Relationships with images change over time and they will change again. We concentrate so much on how the internet makes it easier to steal, but what about how it is the reason most of us are photographers in the first place? While I agree with you to some degree, try telling that to movie studios and music artists. Where is the threshold when something is free and something needs to be paid for to consume and then on top of that, reused? Ever read any social media terms of service? Usually they contain a clause in them that says they have a right to anything you post. The reason for this is simple, social media is for sharing content. Sharing. Content. Period. It is not just for you to share your content (aka broadcast your message), but for others to share that content, as well. Sure, they shouldn't claim it as their own, but that is different than sharing. Proper credit is a nice extra, but not what social media is for. Social media is about re-mixing content— adding your message to an image that speaks to you and sharing the things you like. We, as photographers, need to realize that social media isn't for us to use to promote our brand, it is a community with community standards. In this case, the standard is that anything you post can be shared with anyone else. We have a choice to join that community or not. We need to realize... gulp.... this isn't about us. I'm a professional photographer. My best work never see's social media. Not if I want it to retain 100% of it's value. Also... and most importantly... social media is a sharing media. Not a commercial media for the users. If you Facebook or Instagram a photo... you should expect it to be shared... why did you post it if you didn't want it to be shared? Being upset that Instagram worked the way it was intended is a bit silly. Sharing comes in different forms on different social media. 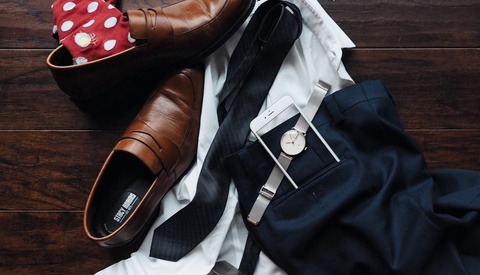 Facebook sharing retains a connection to the original poster while Instagram requires a more manual approach that strips the original owner from the post unless the new poster is kind enough to add your name. This is yet another reason to watermark every photo on the web, and to encourage your clients to do the same. The title misled me. The answer is yes, the rest doesn't provide much insite. Please re-post any of my images as much as you like, as long as credit is attached. I include a watermark in all posted photos - and yes I understand that this is easy enough to remove - but it at least demonstrates a desire to be credited with the creation of the image. What bugs me more is the loss of credit for models, although that would be easy enough to find out via a search on the watermark. If you think a watermark ruins the image, then you must live with the consequence of posting it. If you post something online, it is inevitable that it will eventually be stolen. Watermarks and copyright symbols do nothing. I try to focus my business on things that are actually worthwhile. I'm not really sure how social media can be viewed as any different to any other content platform. If a brand wants to license something for any form of print, even a news story, it must pay so it shouldn't be different for online content. I agree they shouldn't be different. But much of social media is about exposure and gaining as many likes, follows and hearts as possible. That's how we measure success on social. Brands were just smart enough to recognize that as currency and offer it up as payment. This is now out of date Instagram sent me this when I tried to report issues - Please note, the use of a name does not necessarily violate copyright. In most countries, copyright does not protect names, titles, slogans or short phrases.